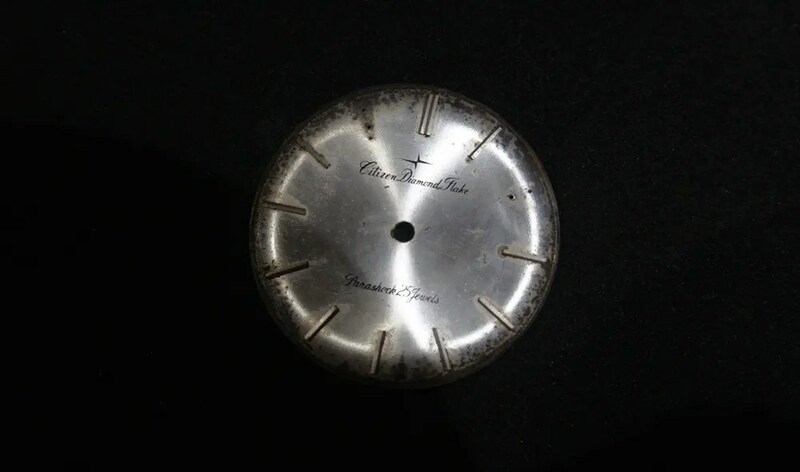 Some time ago I found that I wasn’t able to set the time on my 1963 Diamond Flake hand winder https://sweep-hand.org/2013/05/15/this-weeks-featured-watch-51-the-diamond-flake/. The stem was loose and wouldn’t relocate in the correct position although the movement could still be wound and ran ok. Although I’m not a watch mechanic it was clear that there was a serious problem with the ‘keyless’ works/setting lever. And unfortunately my local watch repairer wasn’t able to do anything with it since the relevant parts were too corroded. 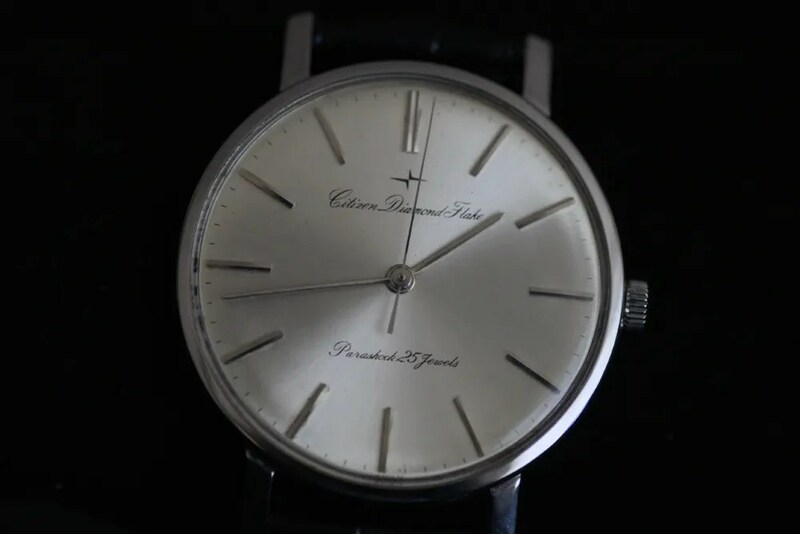 So the only way to source the parts and fix this problem was to find a ‘donor’ watch…..but these are not seen very often, and it’s been a long wait. Until last week in fact, when I found a rather sorry looking example on eBay – in fact I’d seen it a couple of months earlier but I was outbid. Although a bit concerned that there may be more than cosmetic problems with this example, since it was being re-sold rather quickly, it was described as in working order so I went for it. Given my (very) limited watch repair skills I decided to do a movement swap rather than any dismantling, especially since the donor movement looked to be in better condition than my problematic example. In particular the stem fitted correctly and ‘locked’ into place as it should. 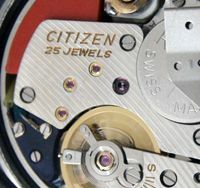 Although the Diamond Flake has a snap on case back and movement retaining screws, the movement doesn’t just come out of the back once these are removed. It’s removed from the front so the crystal has to come off as well, allowing the movement / dial assembly to be taken out of the case from the front. 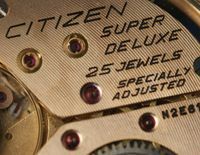 This entry was posted in Vintage Watches and tagged Citizen Diamond Flake, Vintage Citizen Watches. Bookmark the permalink. 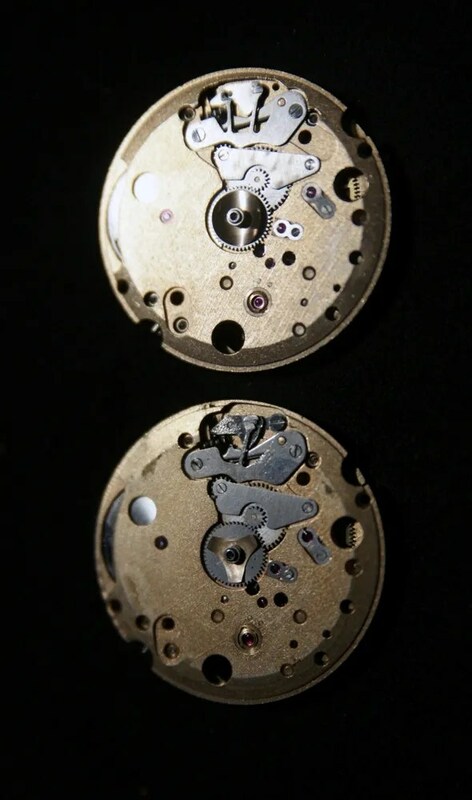 There´s nothing wrong with your donor watch movements setting lever/bridge, it´s just complite 😀 , but there´s a one “pin” gone cut of from your original movements lever/bridge. That broken pin seems to be among the set wheel, if i saw it right, when i copy that picture and zoom it in :D.
Absolutely brilliant watch!!! What a beauty! 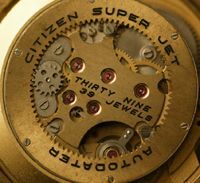 There´s a same thing with some of the Swiss movements: high quality movements are gold plated. This is not necessarily always the case, for example there are same Zenith movement either gold plated or rhodium plated version. Hi Marko, thanks for your comments and reassurance 🙂 The Diamond Flake movement is very nice, and it’s great to be able to wear my example again! I am very close to buying a refurbished Diamond Flake but unfortunately the set lever is broken. 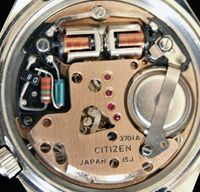 The movement seems to be the 0700 with no date and has the single leg set lever, as in the bottom movement in your photo. 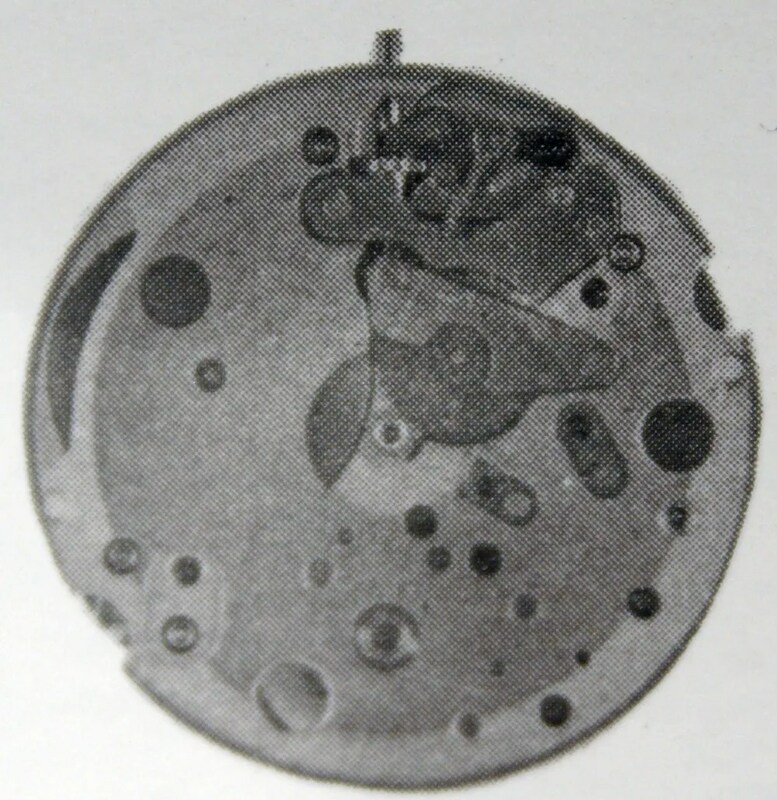 The problem you describe above was caused because this part was corroded or was another part to blame? If you still have the movement, and the set lever is intact, would you be willing to sell it? 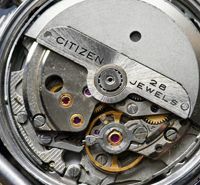 Even though my watchmaker assures me the movement is fully functional without the set lever, I would like to get it back to fully working order, and perhaps i could use your movement as a donor. Let me know via email if you like. do you still have the 0700 movement? Hi Panos, thanks for visiting my blog. I do still have the set lever with the single leg, and it is not broken. There is some corrosion, but it’s in one piece, so hopefully it will work ok. If you’re happy to cover shipping I can send it to you, I wouldn’t want to ask anything for the part since it’s not perfect. I’ll send an email, with a pic.